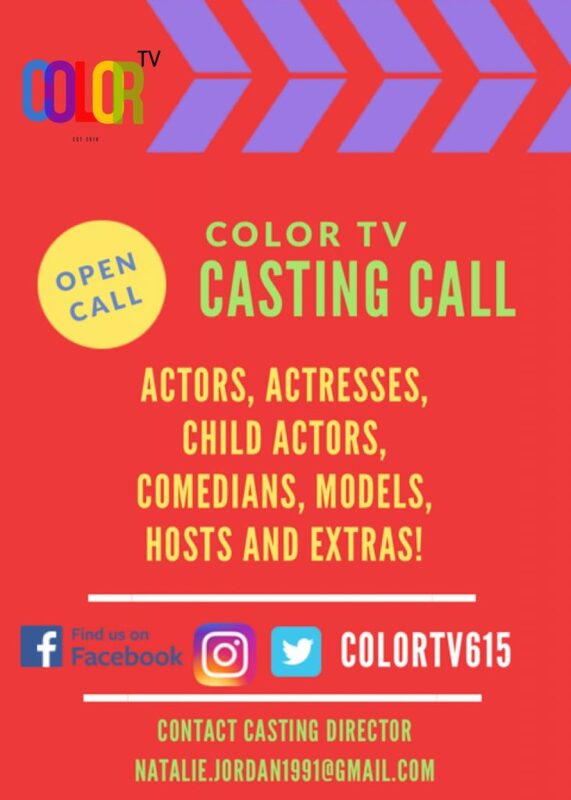 Casting Call for COLOR TV! Color TV, a web TV channel that will premiere this year on YouTube. Our aim is to present multiple cultures in an entertaining, yet informative, way that can relate to anyone. Currently, we are in the process of recruiting talent to cast the shows (web series, variety, reality, movies, etc). Our main needs include: actors/actresses, comedians, models, child/teen actors, and hosts. We do not require any experience and are pretty open to having anyone audition that is interested. We will be holding the last round of auditions on this weekend, March 9th. After that, we will take a break for about a month to start filming, then we will start auditions back up in April. Please email me directly if interested!